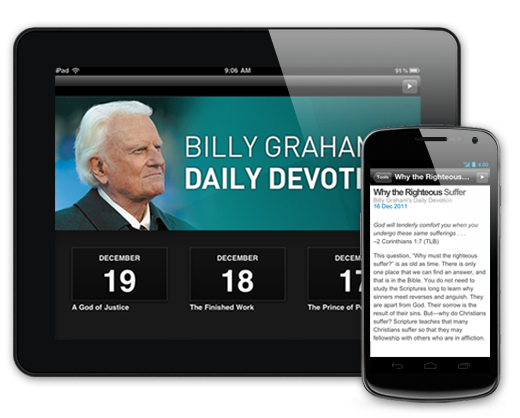 Get a new Billy Graham Devotion everyday in an easy-to-read, mobile-friendly format. 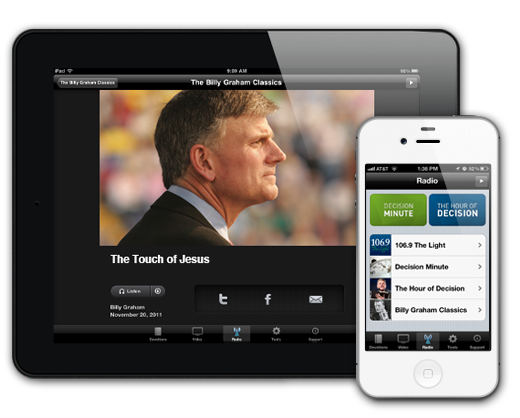 Watch and share some of our most-requested videos including our monthly TV Special and classic Billy Graham sermons. 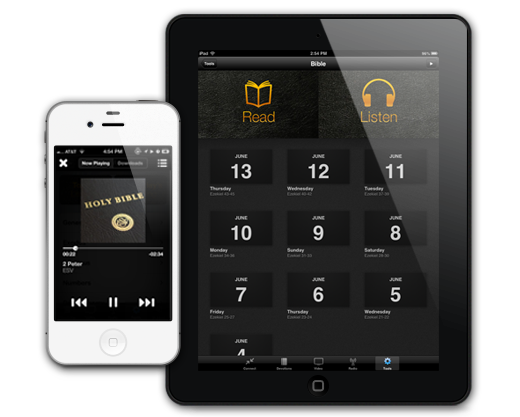 Get the Bible in mobile-friendly reading and listen-aloud audio formats with a customized reading plan. Listen to our latest radio programs including the weekly Hour of Decision, classic crusades, and a live stream of 106.9 The Light. Need a Gospel conversation-starter? 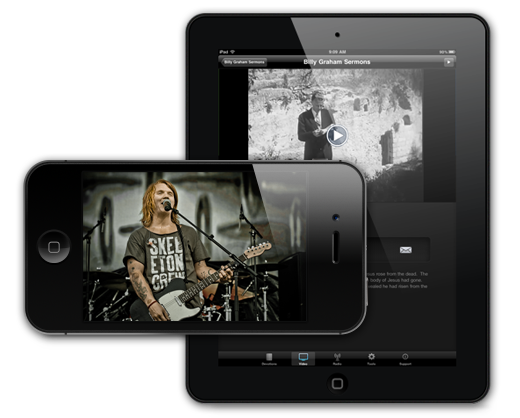 Get a Billy Graham ringtone for your mobile phone. Choose from Mr. Graham reading John 3:16 or proclaiming “God Loves YOU!” Available for iOS and Android operating systems. Some ringtone links may only function from mobile devices.